Environmental Writer Jim O'Neill has a nice story in The Sunday Record about how birds are handling the cold winter in the Meadowlands and elsewhere in the region. 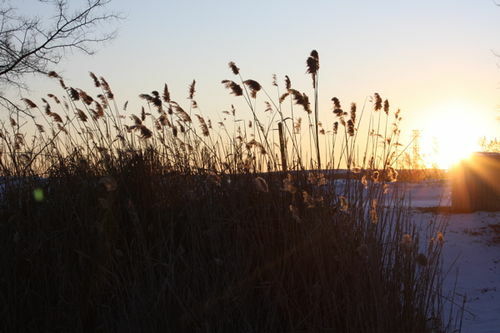 "Because of the cold, North Jersey ponds, creeks and marshes have iced over," O'Neill writes. "Unable to feed, some water birds have shifted their home base to the region's more open waters while others who usually winter here have packed up and flown south, according to local naturalists. "Meanwhile, birds not normally seen this far south have appeared in the Meadowlands — including owls who normally breed in the Arctic tundra and winter in northern Canada and birds who usually prefer the frigid Great Lakes.
" 'It's been a colder year than normal, and our impoundment pools are freezing. Even some tidal ponds are getting ice an inch thick, so the incoming tide pushes the ice up instead of flowing over the ice,' said Michael Newhouse, natural resources field specialist with the New Jersey Meadowlands Commission. 'Our waterfowl are moving over to the Hackensack River and our puddle or dabbling ducks are flying south. Sometimes they'll go as far as South Carolina.' "